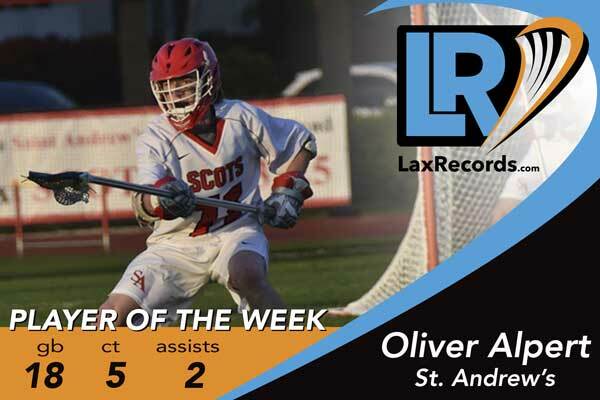 The long-stick midfielder had an impressive week, helping the Scots to a 3-0 record. 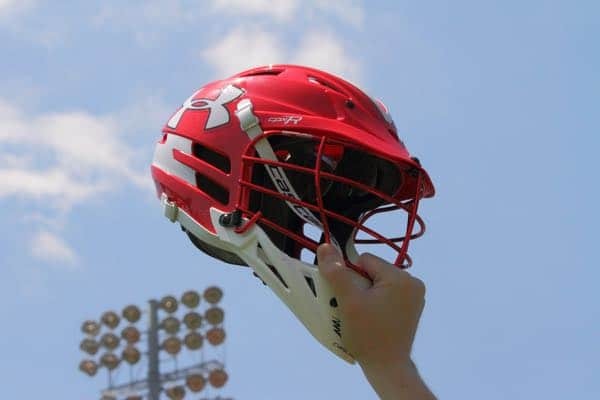 The Towson commit had 18 ground balls, five caused turnovers and two assists as St. Andrew’s defeated Oxbridge Academy (Boca Raton, Fla.), Boca (Fla.) and Martin County (Fla.). Against Oxbridge, Alpert picked up three ground balls. On the season, he has 40 ground balls. Baker, a player of the year candidate, scored four goals and dished out four assists in a 17-14 win over Gulf Coast (Fla.) on Saturday. Baker has 31 total points this season, 16 assists and 15 goals. Guglielmo led St. Thomas Aquinas with three goals and three assists in a 13-7 win over Stoneman Douglas (Fla.) on Friday. Adams posted four assists in the Scots win over the Thunderwolves on Feb. 21. He followed that up with two goals against Boca and three goals, two assists against Martin County. He also caused two turnovers in the Martin County game. Ryan scored four goals and had one assist as the Mustangs defeated Marin Catholic (Calif.) 9-5 on Friday. The junior helped Buchholz (Fla.) to an 11-7 win over Creekside on Saturday by winning 19-of-20 faceoffs in addition to scooping up 15 ground balls. The sophomore scored four goals in the 16-4 win over San Ramon Valley (Danville, Calif.) on Saturday. St. Geme is coming off a 16 goal, eight assist season as a freshman.